The baby threw up as you were heading out the door. The dog ate your church shoes. Your son got invited to a sleepover and isn’t at home. Your teenagers stayed up until 2 a.m. watching a movie and can’t get out of bed. You daughter’s soccer team plays on Sunday mornings. You son doesn’t want to go to Sunday School. It’s snowy and cold and you can’t get out of bed. You’re struggling with spiritual issues and are waiting to sort them out first. Your kid is sniffling and you want him to stay home to he’ll be able to go to school tomorrow. Your daughter needs time to put on her make-up and she won’t go to church without it. Maybe you understand the importance of bringing your family to church, but every Sunday morning feels like all out spiritual warfare. I’ve watched many people struggle with this problem. Sadly, this plagues some families for years. While they lose the battle week by week, their kids grow up viewing church as an optional add-on to more important things in life. But it doesn’t have to be that way. I know because I was raised in a family who made it to church every Sunday morning. My kids did too, and now my grandkids continue the tradition. While we may have had to rush around on some Sunday mornings, our families valued going to church and looked forward to it. As I see families who struggle with this problem, I see several obstacles blocking their way. 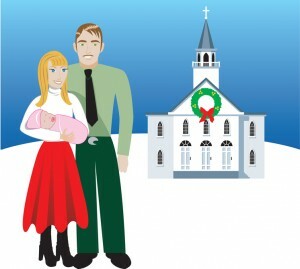 I’m going to give you 5 tips that made consistent church attendance work for us, hoping it will encourage your family. Make a solid commitment to church attendance. This is really foundational to winning the war. In our house, growing up as kids and in our own homes, this was our commitment: We will attend every church service we possibly can unless we are sick or out of town. When we are away over the weekend, we’ll attend a service where we are. You may choose to make your commitment slightly differently. Perhaps you have a job that requires you to work some Sundays or you live far from town and can only go on Sunday mornings. You may have an unsaved husband or spouse and need to miss certain times to respect his wishes. But until you make a strong commitment to church attendance, Satan will fight you on it every Sunday morning. He’ll throw every reason or excuse in your path to keep you from going. He knows it’s hard to live a consistent Christian life without the instruction, fellowship, encouragement, and help of a local church. If you’re struggling with this issue, let me shock you. Satan doesn’t fight my family about this issue. Why? Because we’re such spiritual people that we’re impervious to temptation? No. Because he knows he’ll lose. We’ve been going to church for every service since we were born and we’re going to keep on doing that. So he’s got to find other ways to attack us. This one won’t work. As long as Satan knows obstacles will keep you from church, he’ll continue to throw them in your path. Every Sunday morning will be a war. I’ve seen this happen in so many families, and some stop going altogether. Church attendance actually gets easier when you make a solid commitment to it. Begin Saturday night to win the Sunday morning battle. I often hear parents complain that it’s hard to get their kids out of bed on Sunday morning. “What did they do last night?” I ask. You can’t expect kids to get excited about Sunday school on Sunday morning when they’ve stayed up late watching TV or having a party. As a pastor’s wife, I find I need to quit working on projects by dinner time on Saturday evening. I practice the songs I need to play the next day and then I rest. I might read a book or watch a movie. But I’ve got to shut down on Saturday evening to have emotional energy for the next day. Saturday night is the time to choose church clothes and make sure they’re ready to wear. Work out a shower schedule and get some of them out of the way ahead of time. If shortage of bathrooms is a problem, make sure you have other space for doing hair and makeup. Gather the things you’ll need to bring to church. Prepare what you can. Expect something to go wrong the next morning and set the alarm a little earlier than you think you need to. Keep your Sunday mornings as stress-free as possible. Preparing for Sunday morning on Saturday night will help this. Play some Christian music to set a worshipful mood. Save arguments and problems for other times. Refuse to debate your commitment to church attendance or other problems on Sunday morning. Keep this time as stress-free as possible. Eating together as a family is usually good, but you might want to consider letting each family member grab a bowl of cereal or bagel on his own on Sunday morning to work around the shower schedule and save time. If you have little ones, ask for help to get them ready. Don’t be discouraged if it takes time to make this happen. If this has been a battle for you for years, don’t expect it to go away overnight. When you first make a commitment to go to church every Sunday or every service, Satan’s going to fight you. If he can get you to think this is too hard, he may defeat you in the beginning and save himself a lot of work. Your kids may fight you, too. If they don’t want to go to church, but you want them to, they will find every excuse they can throw at you. If you hesitate or make the issue look negotiable, you’ve lost. Kids are great manipulators. If, however, the issue is a rock solid commitment in your family, they may complain from time to time, but they’ll know it’s not going to change so they might as well not waste their breath. In the homes we grew up in, we knew church was not negotiable. As long as we planted our feet under our parents’ table, we were going to church, like it or not. Thankfully, my husband and I were happy to go. Some of our siblings tested the boundaries and found they wouldn’t give way. If you have young children at home, you know all the things that can go wrong on Sunday mornings. This happens to the most devoted church goers. Prepare as much as you can, and then solve the problems as they come. Recognize going to church as a way to express your values to your kids. Say what you want, but your kids know what really makes your eyes light up. Do you love going to church, or is it an onerous duty? Your kids can tell. You keep your kid home from church so he’ll be sure to be well enough to go to school the next day. You can’t tell a coach your child can’t play soccer on Sunday morning, so you miss church instead. You let her miss church because she doesn’t want to go, but you make her go to school. 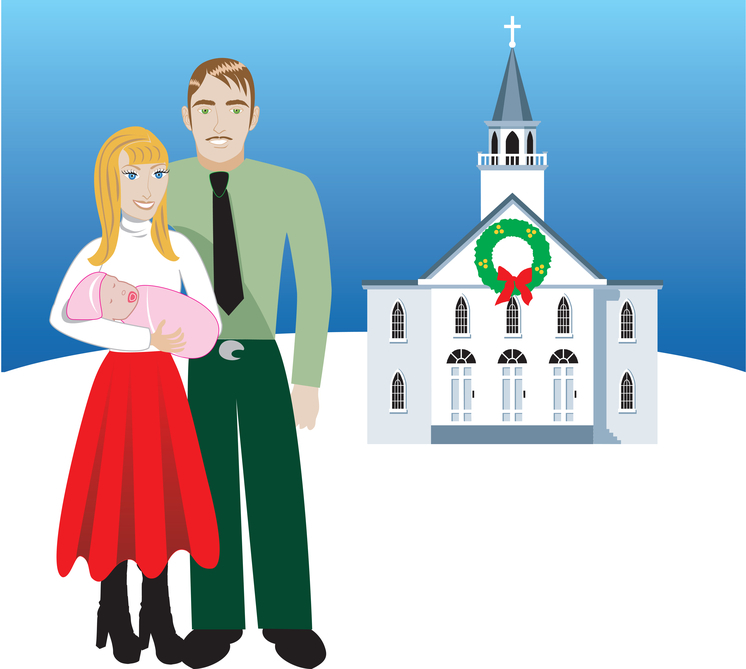 That may seem fine week by week, but some situations make church attendance really difficult. Each Christian has to work these things out between him or her and God, but I’ll give you an example of how we might handle these situations. A friend or family member shows up unexpectedly when it’s time to go to church. Invite them to go with you to church. If they decline, welcome them to make themselves at home and promise to return as soon as church is over. If you do this once, that person will learn not to come to visit at that time again. It will also make a strong statement to the person, your family, and your church about what you value most—pleasing God or bowing to social expectations. You don’t feel close to God, or you’re struggling with spiritual issues, and don’t feel like going. Church is a good place to go. Maybe you can talk to the pastor or a friend about your problem. Doubts and spiritual problems aren’t solved in isolation. You need to be with Christians who can help you find answers. Your daughter hasn’t put on make-up yet and it’s time to leave. Grab her make-up bag and tell her she can put it on in the car. She may learn to apply makeup in the car. On the other hand, if she really hates this, she may decide to get up earlier next week. It’s too cold and snowy to get out of bed. Unless it’s dangerous to drive and authorities are asking people not to go out, thank the Lord that you can use this opportunity to show him and the neighbors how much he means to me by going to church on a cold morning. Your teen doesn’t like church and doesn’t want to go anymore. This is non-negotiable, remember? At the same time, if your teen has legitimate concerns, do what you can to solve them. If your daughter has no friends her age, maybe you can invite a potential friend to your house and help her make a friend. Maybe your son needs to get involved helping at church, singing in the choir, serving on the puppet team, helping the pastor mow the lawn, or working in the sound booth. If the sermons or lessons seem boring, work out ways to discuss various sermon issues at home in an interesting way. Find a senior citizen who will be a prayer buddy with your teen. Help your teen discover her spiritual gift or his interest and suggest a way to use that in the church. Make the church people your best friends. Encourage the adults in your church to reach out to the teens in a supportive, encouraging way.